Leave a message for Jason using the form fields below. If you have any questions, please contact us at (212) 269-7800. For general inquiries, email compliance@ingalls.net. 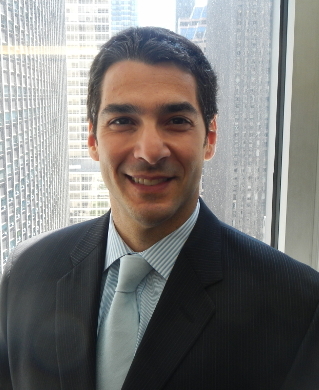 Jason Morad is a Senior Vice President and investment advisor managing assets for private client, trust and foundation portfolios. Jason leads the firm’s wealth management offering, developing asset allocation recommendations and handling third party manager due diligence. Jason works primarily in the firm’s office in Wellesley, MA. Jason joined Ingalls & Snyder in 2015 when the firm became sub-advisor for the investment management clients of Capital Formation Group, Inc., where he had been Chief Investment Officer beginning in 2007. Previously, he was Portfolio Manager and Manager of Equity Research at Hale & Dorr Capital Management in Boston. Jason started his career as a securities trader and analyst at Investors Bank & Trust. Jason holds a B.A. from Vanderbilt University and a J.D. from Pepperdine University. He is a member of the Boston Security Analysts Society and is a Level III candidate in the Chartered Financial Analyst program. Jason resides with his family in Boston, MA. He is an avid surfer and snowboarder, and recently has entered the sport of triathlon.